As part of our spotlight on biosimilars in oncology we recently spoke with Kelley Mayden from the Wellmont Cancer Institute (VA, USA). In this exclusive opinion piece Kelley provides her perspective on the current status of biologics, the approval and regulatory processes and how biosimilars may bring new hope for therapeutic sustainability in oncology. Biologics differ from traditional therapeutics in that they are genetically engineered, large molecules that are isolated from natural sources. They play an integral role in the treatment of numerous malignancies and contribute to improved patient outcomes and survival. As the population ages and life expectancy rises, there is increased interest in biologics and their impact on healthcare spending. The annual cost of some biologics can exceed $100,000 and biologics are currently the primary driver of increased drug expenditures in the United States (US) . As patents for key biologic therapeutics continue to expire, stakeholders are increasingly interested in opportunities for increased competition and cost reduction. However, the molecular nature of biologics and their differences from traditional drugs (see additional reading ), prohibits exact chemical laboratory synthesis, such as is the process with small-molecule generic drugs. Biosimilar manufacturing is a highly specialized process characterized by unique challenges. Given that manufacturers of original (reference) biologics do not share their formula or patented process, an initial challenge in biosimilar development concerns isolation of the protein of interest. Once the protein is identified, it is then cloned, cultured and purified. Despite the availability of high-level analytics, the final product will not be identical, only highly similar, to the reference product. Another challenge unique to biologic production is intrinsic variability. Intrinsic variability is influenced by production in living systems, molecular weight and the molecule’s three-dimensional structure . Final product yield is highly dependent upon the manufacturing process. The initial investment in isolation and manufacturing can dissuade some sponsors from investing in biosimilar development. It is hoped that the introduction of biosimilars to the US market will have an effect similar to that of the European market where they have been available since 2006 and have resulted in decreased cost to the European health system and increased access to biologics for patients . The lack of an approved regulatory process set the US market behind that of Europe and other global partners. In March 2010, as part of the Patient Protection and Affordable Care Act, an abbreviated licensure pathway for biological products (351k) was created and is known as the Biologics Price Competition and Innovation Act (BPCI). This act designates that a biological product may be licensed as a biosimilar or interchangeable agent. A biosimilar is a “biological product that is approved based on a showing that it is highly similar to an FDA-approved biological product, known as a reference product, and has no clinically meaningful differences in terms of safety and effectiveness from the reference product.” Biosimilar data are derived from a combination of analytical studies, animal studies and clinical studies. The biosimilar product and the reference product must utilize the same mechanism of action and route of administration. The condition or conditions of use for the biological product will be identical to those of the reference product . 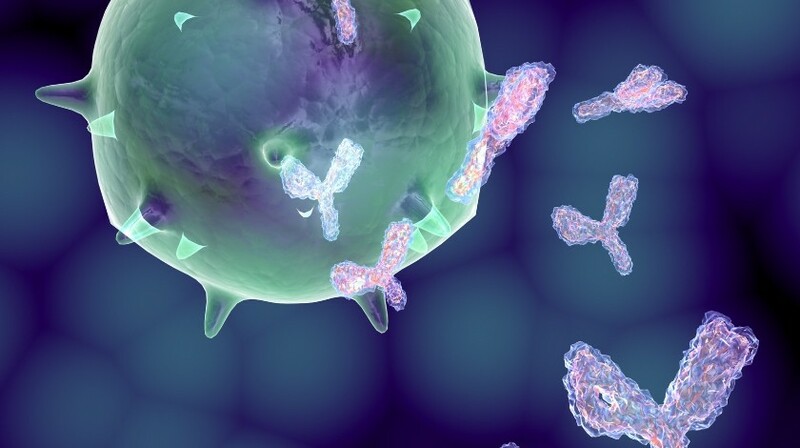 An assessment of immunogenicity is required and should consider the nature of the immune response, clinical relevance and severity of consequences, incidence of immune responses and the study population . Comparative parallel design in treatment-naïve subjects is considered the most sensitive design for a premarketing study to assess potential differences in the risk of immunogenicity . Biosimilar approval is based on the totality of the evidence presented to the FDA. An interchangeable product must be biosimilar to a reference product and must include sufficient data to show that the interchangeable product “can be expected to produce the same clinical result as the reference product in any given patient.” The FDA issued final draft guidance for demonstrating interchangeability with a reference product in January 2017. An interchangeable product may be substituted at the level of the pharmacy without the consent of the prescribing provider. Of interest, and an area of cost deferral, for manufacturers is the process of extrapolation. If a biosimilar is licensed under pathway 351 (k), the sponsor may seek licensure of the proposed product for one or more additional conditions of use for which the reference product is licensed without having to conduct additional studies . As the need for high quality biologics increases, paralleled by the increased cost burden of their use, and patents of current biologic therapeutics expire, biosimilars are in a unique position to increase competition, lower cost and improve patient access to life-saving medicines. As payer mandates for biosimilar usage are inevitable, providers must become knowledgeable about biosimilars in order to reassure patients of their safety and cost-saving benefits. In addition, providers will play a key role in pharmacovigilance. As defined by the World Health Organization, pharmacovigilance is “the science and activities relating to the detection, assessment, understanding and prevention of adverse effects or any other drug related problem”.11 The FDA mandates appropriate post- marketing follow up of all biologics and reserves the right to require post-marketing clinical studies to further evaluate safety if necessary. Clearly, biosimilars require an expansion of traditional generic thinking and are positioned to make what may be the most significant impact on health care saving in modern history. Editorial review of this manuscript was provided by H. Kipperlynn Duncan, BS,MBA. 1. Singh S, Bagnato K. The economic impact of biosimilars. Am. J. Manag. Care. ; 21: S331-S340 (2015). 2. Calo-Fernandez B, Martinez J. Biosimilars: Company strategies to capture value from the biologics market. Pharmaceuticals. ; 5(12): 1393-1408. doi: 10.3390/ph5121393 (2012). 3. IMS Health. The impact of biosimilar competition. IMS Health. (2016). 4. FDA. Information on biosimilars. Food and Drug Administration. (2016). 5. FDA. HR 3590 patient protection and affordable care act (enrolled). Food and Drug Administration. (2010). 6. FDA. Purple book: Lists of licensed biological products with exclusivity and biosimilarity or interchangeability evaluations. Food and Drug Administration. 7. FDA. Nonproprietary naming of biological products: Guidance for industry. Food and Drug Administration. (2017). 8. Congressional Budget Office. Congressional budget office cost analysis: S. 1695: Biologics price competition and innovation act of 2007. (2008). 10. Centers for Medicare & Medicaid Services. Part b biosimilar biological products payments and required modifiers. CMS. (2016). 10. World Health Organization. Safety monitoring of medicinal products: Guidelines for setting up and running a pharmacovigilance centre. WHO. (2008). 11. Generics and Biosimilars Initiative . US$67 billion worth of biologic patents expiring before 2020. GaBI. 12. Zelenetz A, Ahmed I, Braud E, et al. NCCN biosimilars white paper: Regulatory, scientific, and patient safety perspectives. J. Natl. Compr. Canc. Netw. ; 9: S1- S22 (2011). Kelley Mayden graduated from Virginia Highlands Community College with an associate degree in nursing in 1986. Following that, she obtained a bachelor of science in nursing and a master of science in nursing from East Tennessee State University. Ms. Mayden, oncology/hematology nurse practitioner at Wellmont Cancer Institute has 30 years of nursing experience, 10 of those as an oncology nurse, and 16 as an oncology/hematology nurse practitioner. She maintains an active practice seeing a variety of patient types and runs the bone marrow center for her clinic. Her interests include breast cancer, multiple myeloma, symptom management, and complementary and alternative therapy. In addition to her clinical practice, Ms. Mayden enjoys teaching and is an adjunct professor of nursing at King University where she teaches advanced pathophysiology. Certifications include family nurse practitioner, advanced oncology certified nurse practitioner, chemotherapy & biotherapy administration, and integrative aromatherapy certification. Ms. Mayden is a charter member of the Advanced Practitioner Society for Hematology and Oncology (APSHO) and is an active member of the Oncology Nursing Society (ONS). Affiliations include Phi Kappa Phi and Sigma Theta Tau. Ms. Mayden serves on the editorial board for the Journal of the Advanced Practitioner in Oncology. She has numerous peer-reviewed publications, has lectured at the national level, and consulted on an education project for the American Society of Clinical Oncology (ASCO University).